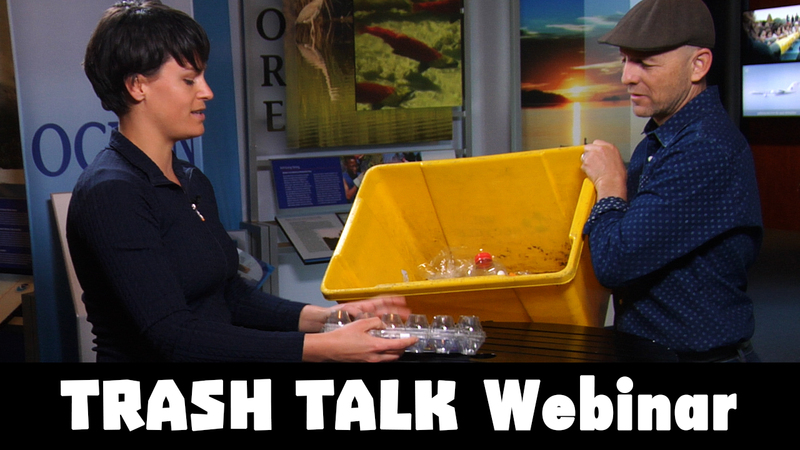 Ocean Today premiered this 15-minute TRASH TALK webinar for World Ocean Day in 2016. It is specially designed to be part of any World Ocean Day festivities and beyond. If you want artwork to promote your World Ocean Day premiere of TRASH TALK you can download a high resolution jpeg of the image below (1.0 Mbs) and insert it into your World Ocean Day Event Promotion.